If you’re traveling to Hong Kong and Macau anytime soon or just thinking of visiting Hong Kong and Macau in the future, you might find this useful. Here’s a summary of expenses we spent during our 3 days and 2 nights Trip to Hong Kong and Macau. Our trip was relatively cheap and I guess most can classify it as budget traveling. 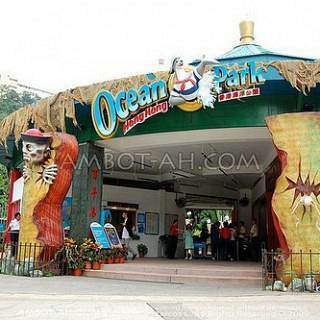 Our biggest expenses went to theme park admission fees. If you can do away with some of those theme parks, you’ll be spending much less. I didn’t keep track of how much we spent on food but as a general rule, we initially planned on spending around HK$50 / meal. Tip: We actually spent much less on food because we ate McDonalds most of the time or bought snacks at 7/11 stores. Check out our detailed 3 days and 2 night Hong Kong and Macau Itinerary. 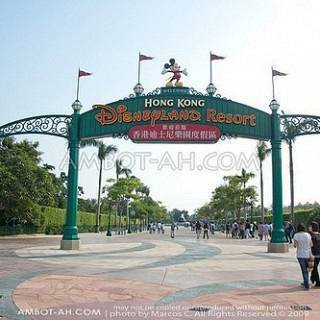 Update: View the improved “Hong Kong and Macau “Theme Park Hopper” 3-day itinerary at DIYdetours.com. These expenses were for two people, right? and which travel agency did you use? We didn’t hire a travel agency, we did everything ourselves. The expenses are for 1 person only. what is the philippine travel tax? don’t we just have to pay for the terminal fee? can we just take the free shuttle of casinos in macau even if we were not staying even for a night in any hotels in the area. we would just have a whole day tour at macau. Yes, the shuttles are free even if you’re not staying at the hotel. You just go in the shuttles … no questions asked. That’s one of the best things I like about Macau, transportation (for tourist) can be very cheap … or free, it would just have to take a bit of walking from the hotel to your planned destinations. Wow, this is really a budget trip na you covered everything you would like to do and see. :) GReat job. Basi borrow ko imo itinerary if ever I go to HK and Macau. Thanks for sharing. Welcome Gene. Ako, I will visit more places here in the Philippines muna, I still have a lot of places that I’m dying to experience. yes, mas damo di interesting and beautiful places sa aton. :D Matupad mo na ah… :) kon kinanlan mo tips on traveling to Palawan on economy budget, basi kabulig ako. More travels for us. sige gene thanks gd. Ga explore pa ko subong sang options ko for trips next year. tani maka bisita man ko sa Palawan. Mostly, mga upod lng man kinanglan ko, hehe. Hey missy sorry for the confusion. The airport express line is separate from the MTR lines. The ticket that we bought had a single journey on the airport express, that transports passengers from the airport to the MTR lines, and a 3 days unlimited ride within the MTR train system. I think set rate na yan ang admission sa disneyland. Pareho din sa Enchanted Kingdom. The admission already includes all the rides/attractions inside disneyland. is it safe doing the tour without a guide? im planning to go to HK and macau with my bro… will use your itinerary… is it easy to figure out where to go and explore? Yes it’s quite safe in Hong Kong and Macau. As with any city, you have to take extra precautions … I found Hong Kong easy to navigate and I guess it depends on how good you are following transport directions and stuff. Macau is a little bit more tricky. With regards to being able to ask for directions, Hong Kongers aren’t the easiest to approach … life there is fast-paced and it’ll be hard to find someone who will take the time to teach you where to go and stuff. I got lost this one time in Central it wasn’t much of a problem since there’s boatloads of Filipinos there … they were very helpful and friendly. You should definitely take advantage of the $50 free chip being offered at our new Bet Phoenix Casino. Available now at: Bet Phoenix. Good luck! Hi, you have explained in details about the place and the budget, this type of tips are very useful for people like me, because in coming days me and my friends are going to travel Asia, our first destination is Hong kong. Thank you so much for your useful tips. I have the same feelings with traveling without a guide / tour operator. It’s just so much more memorable when the trip feels more like an adventure. Hi. am planning ill be going to macau. would like a lot of things sana. i booked cebu pacific for my airfare. i am confused if i have to pay for terminal fee in diosdado macapagal airport before leaving. and another thing is, do i have to pay for terminal fee in macau if i am going back to the philippines? Yes you still have to pay the terminal fee, I think its P600, and also the philippine travel tax of P1,620. No more terminal fee in Macau Int. Airport. Generally, almost all airports outside the Philippines, already include the airport/gov’t tax in your airfare. Pilipinas lang talaga meron terminal fee pag check-in mo. We stayed at Wing Sing Hotel in HK, the hotel was decent enough … we didn’t spend the night in Macau, so I don’t have any personal recommendations. Have your PHP exchanged to dollars before the trip. When you arrive at the airport, exchange a little amount just enough to get you to the city center and exchange most of the $ you’ll need. The currency exchange in HK Airport is a bit pricier. Then Macau to Manila right? Di po ba magkakaproblem sa immigration pag ganun din ang pinabook kong ticket. Sa Macau na ung pagbalik ? Hindi naman. Just as long as you have a return ticket at hand, ok siya. I suggest limiting your itinerary to Hong Kong only. Speeding a trip to Macau might be too much to have a packed itinerary with a baby along. Relatively convenient naman because of the convenient MTR in Hong Kong. If you know the exit code better. If not, no big deal. You can just figure out the right way easily at street level. Hi, thanks for these Sample IT and summary of expenses. It’s detailed and helpful! Good job! Great blog. Can’t wait to be in hk n macau this 25th. hi there! :) thank you for posting this. it’s really helpful for me. now i know how much to budget on our trip. but i couldn’t find your itenerary. is there another link for this? i clicked the one above, but it says “Page Not Found”. really appreciate if you could share it to me too. thank you a lot! God bless you! hi i just wanna ask.. so its not a package right? you can just make your own itinerary? is it much easier for you to do your own itinerary rather than getting the packages? this is really helpful.. i like everything. thanks for posting this and hope you’ll answer my questions. tnx! Yes, I did not take a packaged tour during this trip. It’s definitely much harder to do your own itinerary since you’re basically on your own. The main advantage of do-it-yourself (DIY) travels is the cheaper cost … at the expense of convenience and more often than not, comfort. I remember reading from somewhere that “Traveling on the cheapest packaged tour is always more expensive than a DIY itinerary.” From my experience, it is true most of the time … but not all. magkano po ba ang terminal fee from macau to phils? There’s no terminal fee in Macau International Airport. All taxes are already paid for when you bought the ticket. hello! regarding the hotel booking thru Agoda, is it possible to use someone else’s credit card for booking, one who is not joining the trip? I read that the voucher and the credit card should be presented upon check-in. Thank you! Will appreciate your help. HI there! Thanks for this helpful blog post! I would like to ask where did you exhange your US DOllar to HKD? 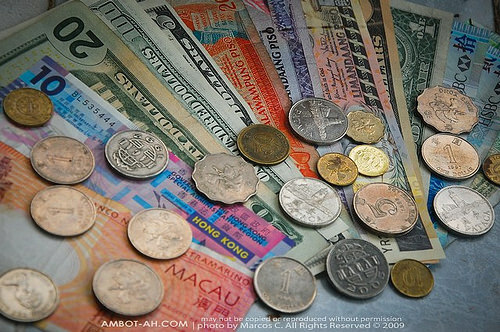 Do we have numerous Forex Shop in Manila that can exchange Peso to HK Dollar? Thanks and btw, very good blog! Hey your blog is just amazing. We have an upcoming Macau-HK trip too by me and my sister and we want a DIY one. Im starting to plan things out now as well. This is really cool. For the hotel, did you booked online as well? 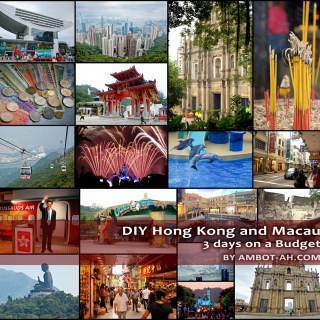 your blog is so helpful because i am planning on a DIY trip to Hong Kong and Macau and it will be my first time. can i ask how can i get to Disneyland from Tsim Sha Tsui? and how can i go back from Disneyland to Tsim Sha Tsui? 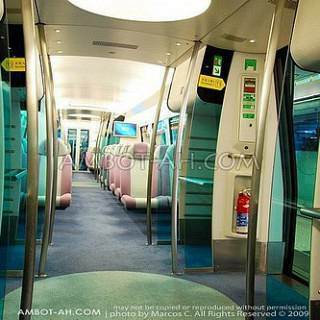 I would prefer to ride the mickey mouse themed MTR to Disneyland. lastly, would it be less expensive to have a DIY tour or avail of a tour package? your help will be very useful for me. ask lng san pdeng mgpapalit ng peso to HK dollar dto sa manila? thank you..txt me naman 09239279940.
hello.. paulit-ulit ko pong binabsa ang blog mo about your hong kong- macau trip. So excited na to go to these places with my hubby, sister and 3 children. this is also our first time to travel abroad. ( my husband has been travelling around the world- nature kc ng job nya). thank you so much because I find your blog very helpful. 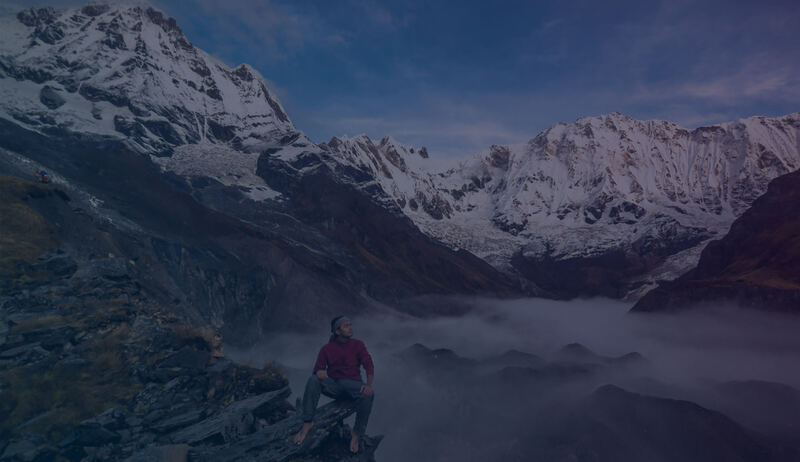 Looking forward to reading more of your travel blogs! Sir, ask ko lang kung may binabayaran din ba sa hongkong ng kagaya sa pilipinas (kagaya ng terminal at travel taxes). Aside from that anu pa po ang na-encounter nyo n binabayran. i dont see that in your post.thank you.it will be very helpful to us,were planning to go in december. your travel blog is very detailed, informative and educational. i and my kids are plannng tao go to hk next year. i will follow ur itinerary and bring wid me printed copy of your blog. thanks a lot. i believe ur itinerary is great, will print it and will bring it with me in hk and macau so that i can follow it step by step…..will be going alone and only my back pack and camera with me, with limited budget…is it possible i will book my hotel only upon arrival in hk? will it there be any issue with the hk immigration? anyone travelling this weekend, perhaps i can join you and we can split the budget forhotels? It totally depends on your preferences. If I were to go back to Hong Kong or Macau, I’d travel DIY again. Im visiting hong kong this september and I wanted to go to the big buddha and disneyland in one day, your blog is helpful! thanks! Yes, that’s a tough schedule for a sidetrip to Macau. I suggest maximizing your time in Hong Kong. very informative.will be in hongkong this coming march. just one thing, your conversion from $hk to php is wrong. Your expenses in peso should be higher, right? what about black market? I mean do you need to have it (money) exchange here in our country or there’s a better option in HK? Is it in US dollar or HK dollar? and what about those affordable restaurants which are good and clean? 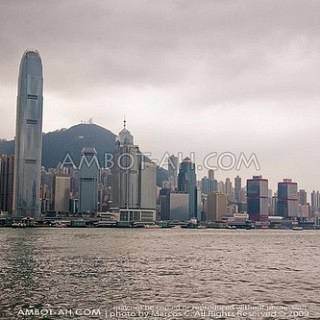 plan to visit HK by March 2013. thank you! we also plan to check in at Causeway Hotels, any suggestion much more cheaper and accessible? This is an amazing blog. I’m scheduled to go by Sept this year and still deciding whether to take group tours from travel agencies. I’m afraid that by doing a DIY tour I might ruin the entire experience at all. Now I know where & how to start my own itinerary and I have the rough estimate as to the expenses I’ll be incurring! You know you’re helping other people (including me) out there! keep it up! Thank you for sharing your tipid tips and escapade during your Macau trip. 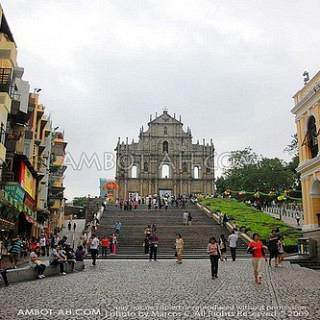 My family and i will go there this apr 28-may 3 and will allot 1 day tour at macau. your blog will surely be a big help :) God bless and more power! That was very nice of you to share it. It would truly help a lot of backpackers. I am just wondering the amounts stated was that from few years back or recent data? If you have 20 thousand pesos as pocket money minus shopping would that be sufficient on a suggested meals? Hi macros. We are a family of 4 planning a trip to HK and Macau. Airasia has a promo but Clark to hk only. If ever I will book Macau to Manila thru Cebu pacific, will that be ok with the immigration? I’m really paranoid with the stories of people being offloaded by immigration due to minor issues. BTW, me, my hubby and 2 kids ages 11 and 14 are traveling. That totally depends on your preference. If you want stress free travel, go with a packaged tour but if you want to control your itinerary and budget, go DIY. Wow! Thanks a lot for this! My friends and I are planning to visit Hong Kong this year and we are not really sure about the budget that we need. This is really helpful! It’s wonderful how you included the amounts and prices in HK$. Glad you shared this, this really helps!